Micronutrient deficiencies can result from removal of agricultural products over many years, changes in soil acidity, or from large increases in plant biomass as a result of added nitrogen fertiliser. This page is specific to high rainfall pastures (more than 600mm average annual rainfall) in the south-west of Western Australia. We recommend tissue and soil testing to check nutrient needs. Most soils in Western Australia in their natural state have very low levels of the micronutrients copper, zinc, manganese and molybdenum. These micronutrients need to be added to prevent deficiencies in crop and pasture plants. Micronutrient deficiencies can reduce production before you can see signs of deficiency, and tissue testing or soil testing may be needed to identify the deficiency. By using test results, managers can identify which micronutrients are needed and avoid adding unnecessary micronutrient fertilisers. increases soil acidity (measured as pH), which increases micronutrient availability while decreasing availability of most macronutrients. Adding lime to bring pH back into the desired range will reduce the availability of copper, manganese and zinc to plants (Figure 1), and lead to deficiencies. Liming usually increases molybdenum availability to pasture, and if this is combined with low copper availability, it may lead to copper deficiency in livestock. Elements in Figure 1 are calcium (Ca), magnesium (Mg), nitrogen (N), sulfur (S), potassium (K), molybdenum (Mo), phosphorus (P), iron (Fe), manganese (Mn), copper (Cu), zinc (Zn) and aluminium (Al). 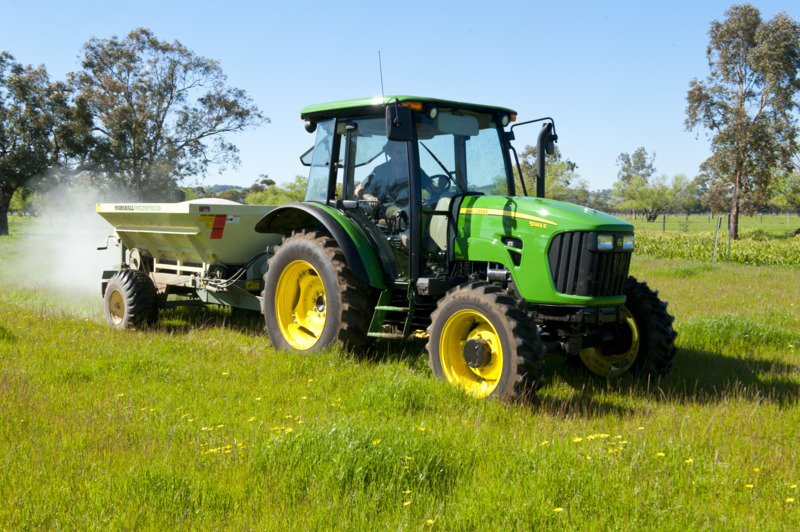 We recommend soil testing for macronutrients and tissue testing for micronutrients as part of a regular fertiliser management program. Testing will identify low micronutrient levels before deficiencies and production losses occur. We recommend that managers test for soil acid levels (surface and subsurface) before trying to interpret tissue tests. Acid soils need correcting with agricultural lime before adding micronutrients. We recommend plant tissue testing as the most reliable way of confirming micronutrient deficiencies and commercial tests can measure all the common plant micronutrients at one time. Managers can have their soil tested for copper and zinc using a DTPA (diethylenetriaminepentaacetic acid) extract test developed and tested under Western Australian conditions. The results can be adjusted for clay content and pH, although the results will only give indications of deficiency. Tissue testing is more accurate and reliable. Zinc (mg/kg) 15–50 14–20 30 Availability can be decreased by liming. Copper (mg/kg) 5–30 6–7 6–9 Availability can be decreased by liming. High molybdenum levels may reduce copper availability to livestock. Molybdenum (mg/kg) 0.5–10 0.3–0.4 Availability can be increased by liming. High molybdenum levels may reduce copper availability to livestock. Boron (mg/kg) 25–100 5–15 10 Seek advice to avoid toxicity. Manganese (mg/kg) 25–300 50–300 70–90 Availability can be decreased by liming. Iron (mg/kg) 50–65 50–60 50–70 Not commonly deficient and not usually associated with yield loss. Cobalt (mg/kg) >0.04 >0.04 Associated with apparent nitrogen deficiency in legumes. Copper deficiency is more likely on grey sandy soils, although it can occur on better soils where high iron and aluminium levels can reduce the uptake of copper. Highly calcareous soils and liming can result in reduced copper uptake. Zinc is the most likely micronutrient to be deficient in many soil types. Superphosphate has low levels of zinc – as an impurity – and its use may mask marginal zinc deficiency. If superphosphate application ceases, zinc deficiency may become acute. Manganese deficiency commonly occurs on alkaline or calcareous soils and after liming acidic sands. Manganese should only be applied after deficiency is confirmed by tissue testing: if too much is applied, plant toxicity may result. Repeat applications may be necessary where the soil is highly calcareous (high pH). Molybdenum deficiency is most likely on acid soils (low pH). Liming to reduce high acidity will usually overcome this deficiency. Tissue testing can confirm molybdenum deficiency. If too much molybdenum is applied, additional copper applications may not be sufficient to reverse a copper deficiency in livestock induced by excess molybdenum. Advantages: easy to spread; relatively cheap for the micronutrient component; can be combined with other nutrients where they are needed. Disadvantages: distribution is not even and is onto the soil surface (may need incorporating into the soil); uptake is slow (may be delayed until the following season); macronutrients (nitrogen, phosphorus, potassium) may be an unnecessary cost; effectiveness is reduced by alkaline or calcareous soils. Advantages: spread is very even (boom spray) and directly onto the plant; uptake is almost immediate; can have multiple applications independent of macronutrients; effectiveness is not reduced by alkaline or calcareous soils. Disadvantage: more expensive than topdressing. We recommend that dairy, beef, and sheep managers in the lower south-west of Western Australia use regular micronutrient and soil testing in consultation with FertCare-accredited advisers to plan profitable and responsible micronutrient and fertiliser use.